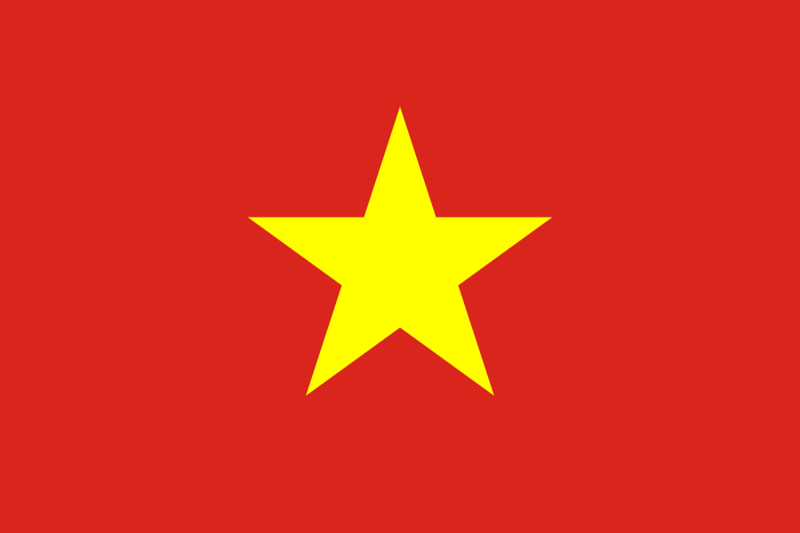 Vietnam, also known as the Socialist Republic of Vietnam, is located on the easternmost part of the Indochina peninsula. As of 2014, the population count is estimated at almost 91 million. It is the 13th largest in the world in terms of population count and the 5th in Asia. Vietnam is also one of the most visited countries in Southeast Asia with about 6 million tourists who travel to Vietnam annually (as of 2012). The difference in latitude within Vietnam and its varied topography, it results in varying climate conditions across various parts of Vietnam. However, the general conditions would be the winter and dry season from November until April. During this time, monsoon winds pick up considerably. The average annual temperature in Vietnam is higher in the plains as compared to the mountainous areas. The average range is between 21 to 28 degrees Celsius. 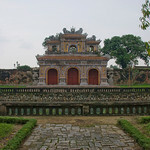 The history of Vietnam can be traced back to the mid- to late 3rd century BCE. In the prehistoric civilization of Vietnam, the earlier inhabitants were known as one of the first people to practice agriculture. The Red River Valley was crucial to the growth of agriculture as its national geographic provided a source of living and economy. The country is surrounded by mountains, jungles, seas, and the Red River delta. Another crucial point in Vietnam’s history was during the late Bronze Age. It was during this time when the Dong Som culture experienced advancement. Aside from providing the opportunities for economy and agriculture, the geography made this country difficult to attack. 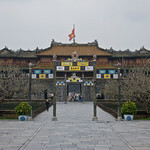 Vietnam was under the rule of the Hung kings for most of its history, acting as an independent and self-contained state. When Vietnam succumbed to foreign rule, it was under that rule for more than 1,000 years. There were a series of Chinese dynasties that took control of the country. Over the years, many of the native cultural heritage, national identity, and language was diluted due to the foreign influence. Some of the foreign empires that ruled Vietnam throughout its history included the French Empire ad the Japanese Empire. Connectivity: Surprisingly, WiFi connection is reliable and good in Vietnam. Last January, their railway system just introduced free WiFi access. You can also access WiFi through hotels, cafes and other establishments. International Airports: Tan Son Nhat International Airport in Ho Chi Minh is the largest international airport for those who travel to Vietnam. Crime: In 2014, drug use became more prevalent in Vietnam resulting to a rise in crimes as well. Despite of that, the crime rate is still pretty low in comparison to other Western countries. The case of violence targeted towards tourists is extremely rare. 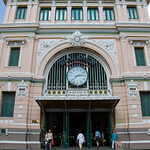 Train Travel: The railway system in Vietnam is aging but is dependable for the most part. It is a great choice of transportation if you want to travel to the other parts of the nation. When traveling via train, there are different classifications and your rail travel experience will vary accordingly. SE classified trains are considered fastest and smartest. If you opt for the TN trains, they are slow because they are older. 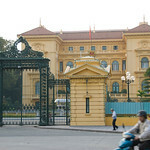 Car Travel: Driving a car is not recommended in Vietnam, especially for foreign drivers. There are many hazards on the road and one shouldn’t fail to mention the number of motorbikes on the road. Prior to 2015, foreigners are not allowed to drive in Vietnam but law changes now made it possible. Most tourists would opt to rent a motorbike, though. There are many companies that can offer car rental services for those interested. Trivia: DID YOU KNOW that despite being a developing country, Vietnam has one of the highest literacy rates in the world at 94%? There are several similarities to Vietnamese cuisine with other Southeast Asian cuisines. The dishes are also most notable for its use of fresh ingredients such as herbs and vegetables. The right balance of herbs and spices make it one of the most savory and healthiest dishes in the world. The main philosophy of Vietnamese cuisine hinges on the five fundamental senses: spicy, sour, bitter, salty, and sweet. A typical Vietnamese meal consists of steamed long grain rice, stir-fry dish, vegetables (raw, pickled, stir-fried or steamed), can (clear soup or broth), dipping sauce or condiments, and fresh fruits for dessert. The Vietnamese Pho is one of the most distinctive dishes from this cuisine. In fact, pho is served at nearly every corner of Vietnam. It is made up of a salty broth, chicken or beef, rice noodles, and many herbs. Lau is another famous Vietnamese dish. It is essentially a hot pot dish that is served in an oversized boiling pot. 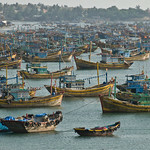 Vietnam is one of the most visited tourist destinations in Southeast Asia. It has plenty to offer for tourists of all ages and demographics – from cultural, to historical and natural attractions. You can find all of them when you travel to Vietnam. 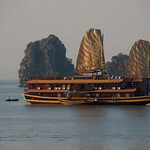 Ha Long Bay is undoubtedly one of the most popular tourist attractions in Vietnam. The spellbinding sea views and the karst landscape are part of the reason why it was named by UNESCO as a World Heritage Site. The scenery on the site is best seen via boat. You can also drop by one of many caves along the way particularly the three mammoth caverns of Hang Sung Sot. 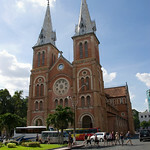 Ho Chi Minh City, formerly Saigon, is another notable destination and tourist attraction when you travel to Vietnam. 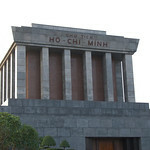 In fact, experts believe that no visit to Vietnam would be complete without visiting this city. It is a buzzing commercial hub with plenty of restaurants, bars, and cafe scene. The central district is easy to navigate, which promotes exploration of some of the key areas in the city. You will also delight in the view of the surviving colonial French architecture and religious iconography. For those interested in exploring natural wonders in Vietnam, the Phong Nha-Ke Bang National Park is another can’t miss attraction. It is considered as one of the best-caving destinations in the world. When you walk through this park, you will be treated to a sight of stalactite and stalagmite formations. The Paradise Cave is the most notable attraction within the park that spans 31 kilometers below the ground. There is also a “wet cave” known as Tu Lan Cave, which is only accessible via boat. 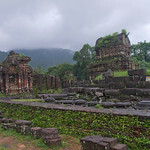 My Son Sanctuary is also another must-visit tourist destination in Vietnam. This site consists of 4th-century ruins from the Cham era. 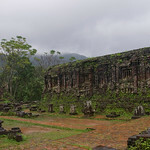 The site consists of 20 temple structures that are made out of sandstone or brick blocks. To visit My Son, you must travel via Hoi An. Speaking of Hoi An, this city is one of the must-see destinations when you travel to the country. There are several historic architectures in the city. You need to explore the old town quarter wherein you will find the merchant houses and trading centers. 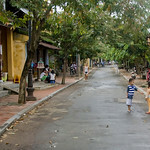 Walking through the streets of Hoi An is walking back in time. 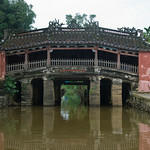 The delightful Japanese Bridge on Tran Phu street is one of the most iconic parts of the old town of Hoi An. Finally, the Mekong Delta is something that you should try and see when you travel to Vietnam. Don’t forget to cruise the Mekong River so you can explore the history along the way. And while you’re at it, make sure to visit one of many floating markets in Vietnam too. Lonely Planet Vietnam (Travel Guide). Considered as the best-selling guide on Vietnam, this book is your ticket to the most relevant and updated information on what to see or do in Vietnam. National Geographic Traveler: Vietnam. Written by James Sullivan, Ron Emmons, and Kris LeBoutillier, this revised guide covers all major sites in the country. 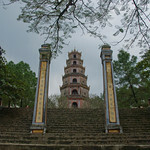 You can also get some insights into the history and culture of Vietnam. 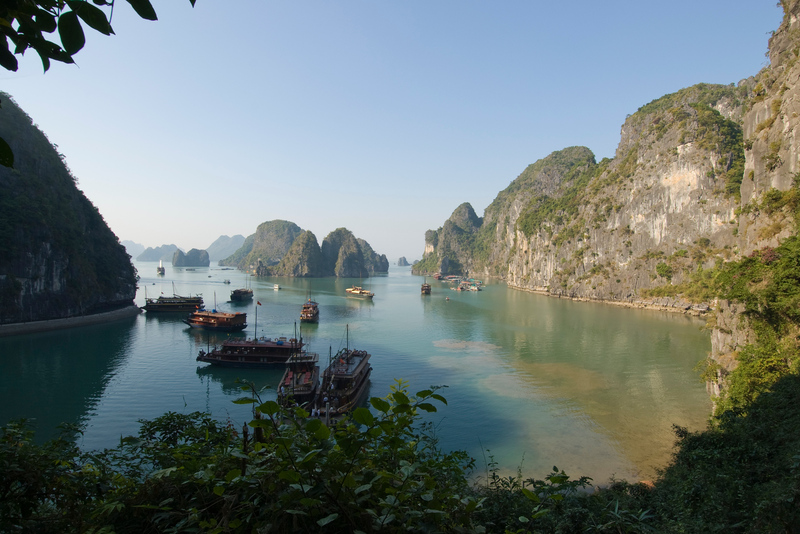 Vietnam – Culture Smart. Use this book to discover the history, culture, and tradition of the Vietnamese people. It is an audiobook written by authors Geoffrey Murray and Peter Noble. 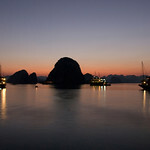 VIETNAM: Expat Ultimate Travel Guide: Expat Ultimate Guide for Living, Retiring or Visiting Vietnam. 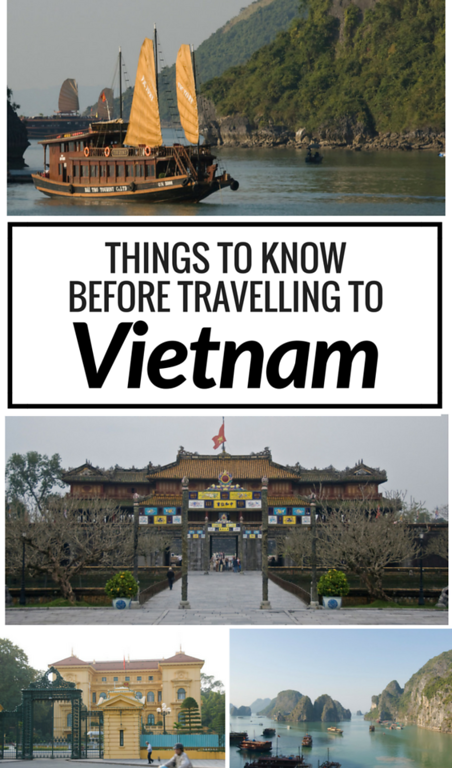 If you plan to move to Southeast Asia, specifically Vietnam, this book is for you!